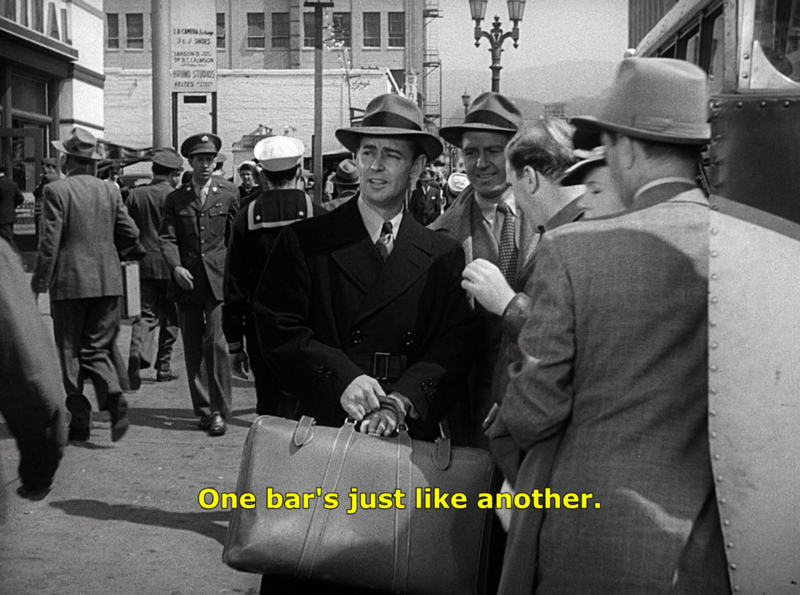 Sterling film noir from the pen of Raymond Chandler. 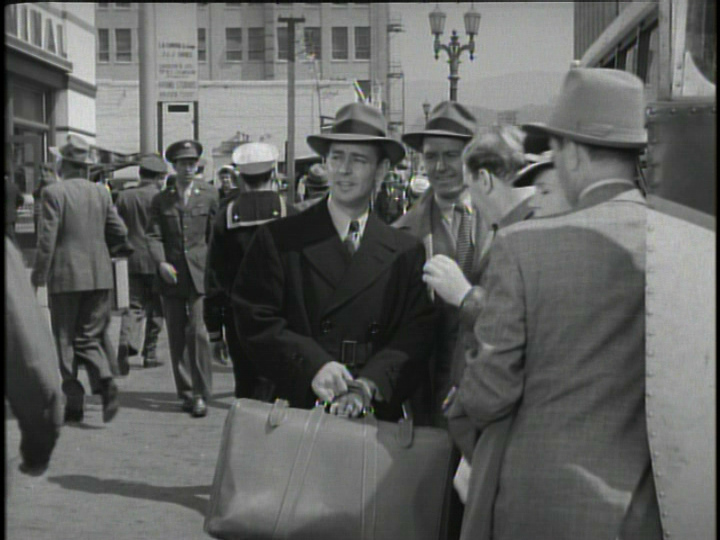 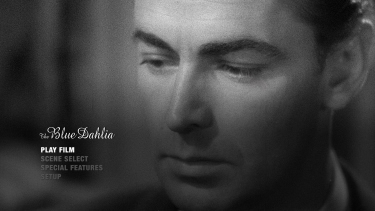 Alan Ladd stars as a war veteran framed for the murder of his own wife. 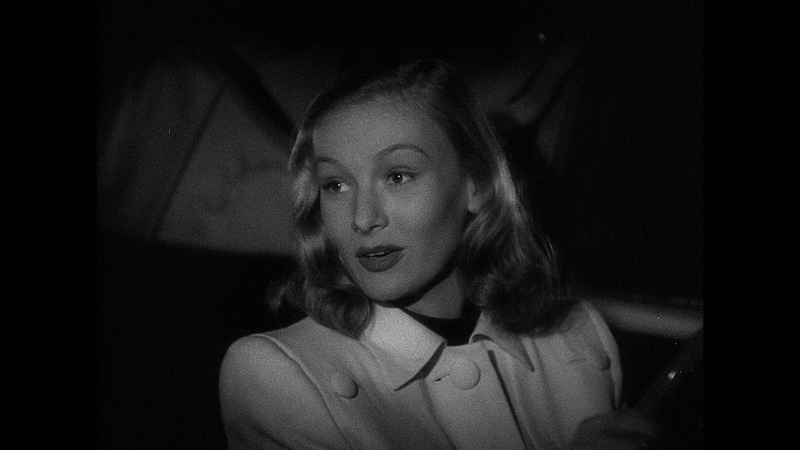 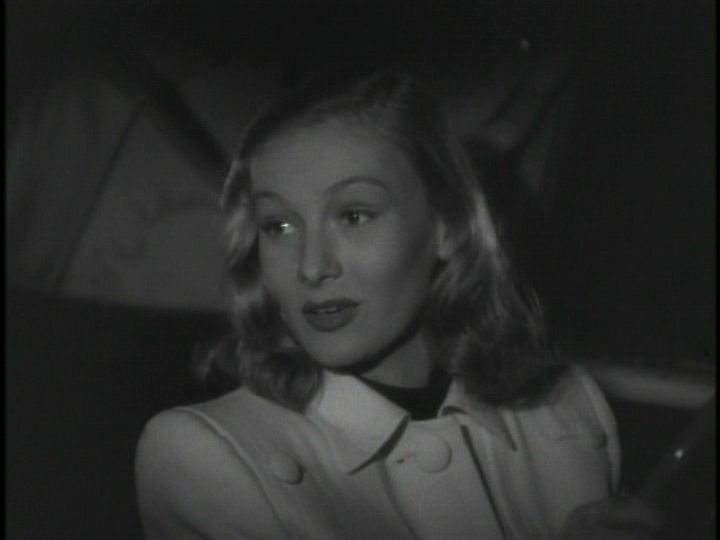 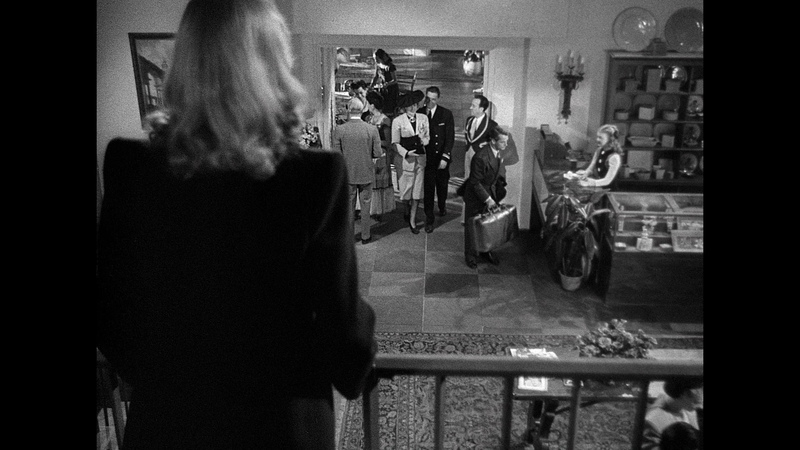 Veronica Lake plays the requisite femme fatale. 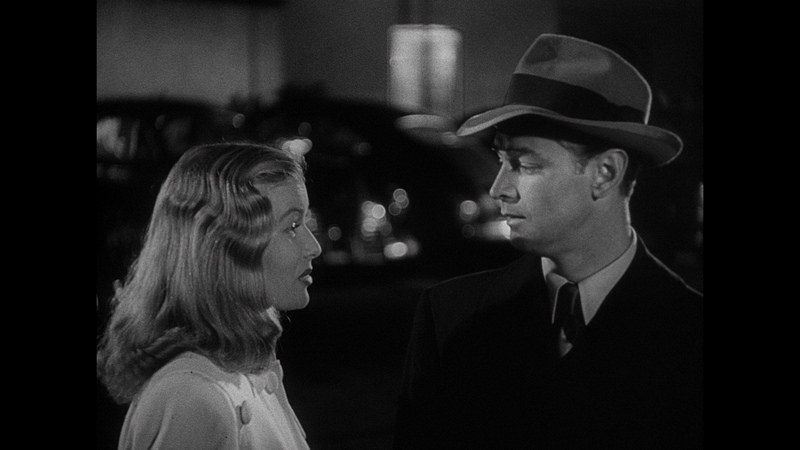 This Raymond Chandler-scripted slice of film noir may have been a bit overshadowed by Howard Hawks' The Big Sleep (released in the same year) but merits viewing nonetheless. 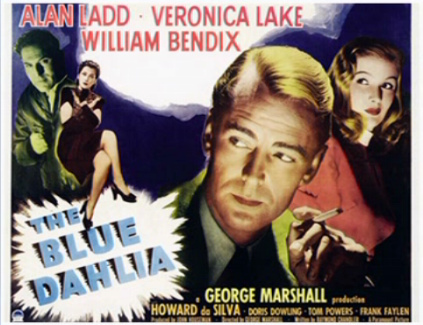 Ladd stars as Johnny Morrison, a disillusioned ex-servicemen who discovers the infidelities of his wife (Dowling) - he catches her kissing Eddie Harwood (De Silva), owner of the Blue Dahlia club - on the same night that she is murdered with his gun. Naturally he becomes prime suspect in the killing, not least because he'd pulled his gun on her before walking away. Unexpected help comes in the shape of Joyce Harwood (a sultry Lake), a woman with a surprising connection to the murder - she's Eddie's ex for starters. 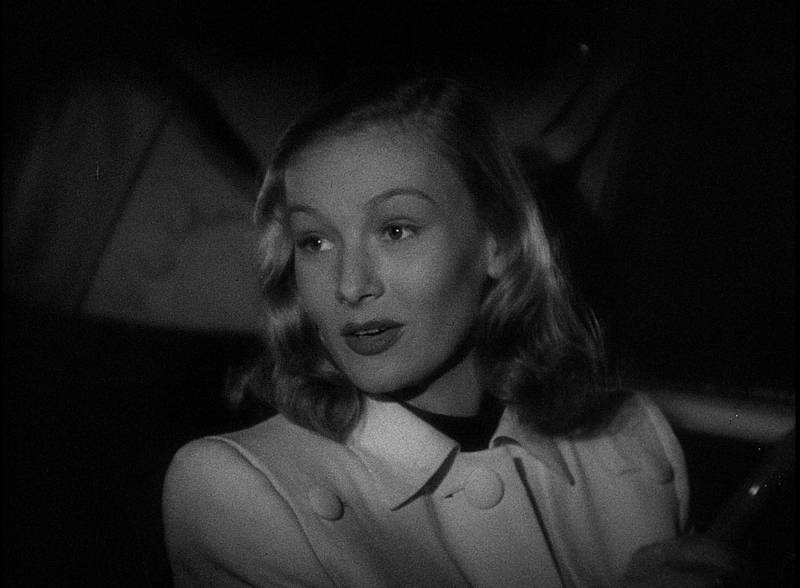 She lends a spot of glamour to what is otherwise a very dark tale. 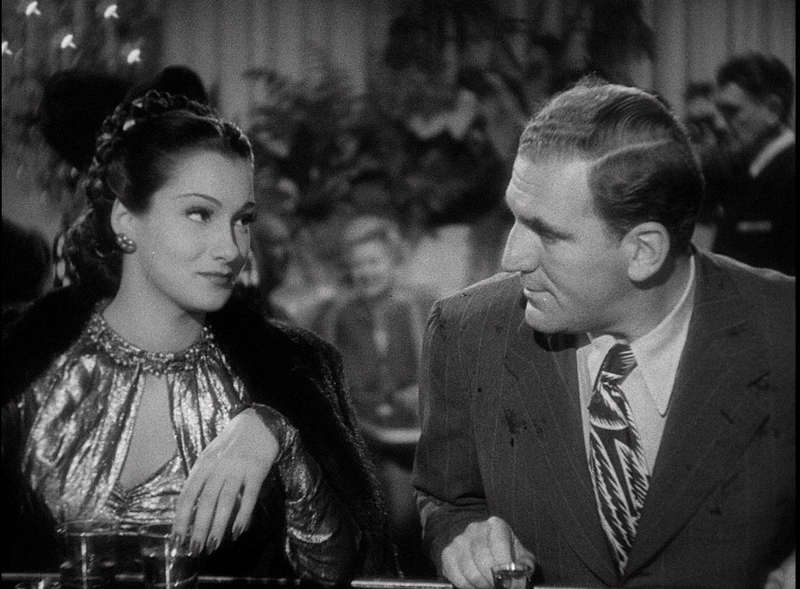 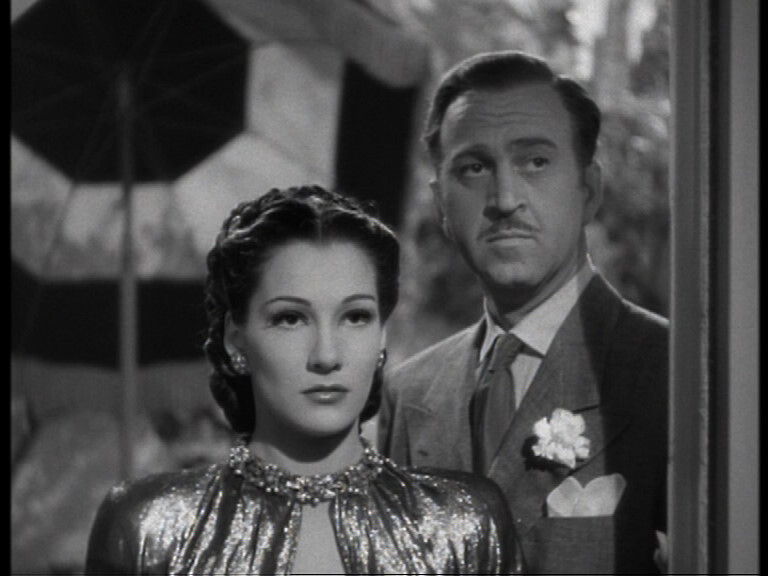 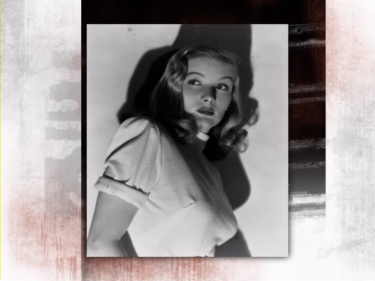 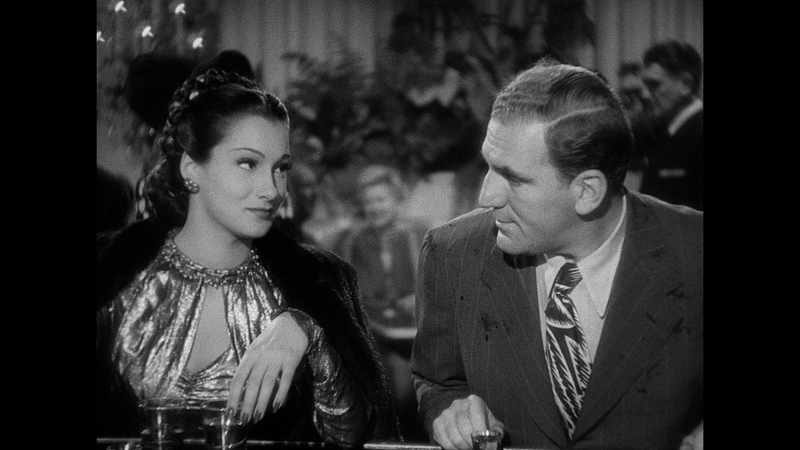 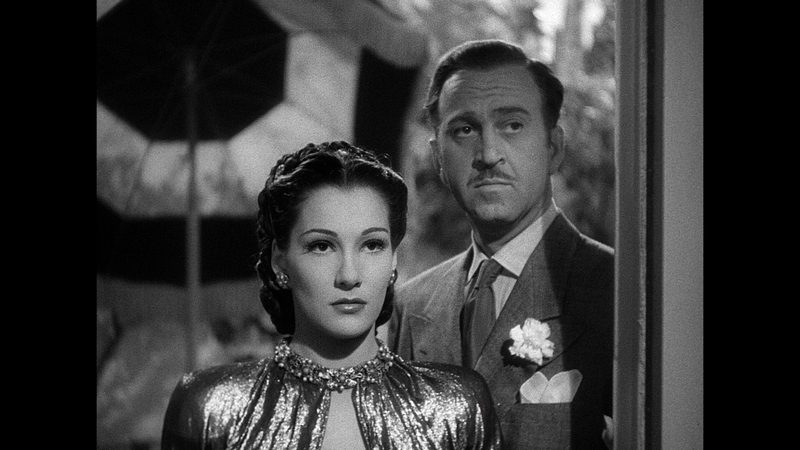 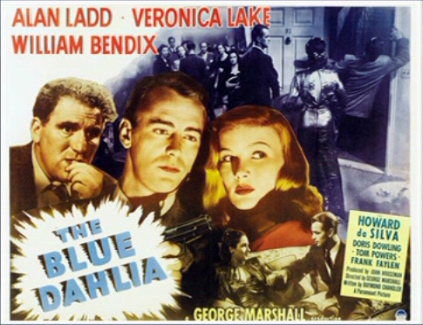 The Blue Dahlia is smartly plotted and unpredictable enough to keep the killer's identity a secret. Classy stuff. Ladd's returning war veteran stalks stoically down those mean streets once more in search of the killer of his wife (Dowling), a faithless floozie undeserving of his concern. 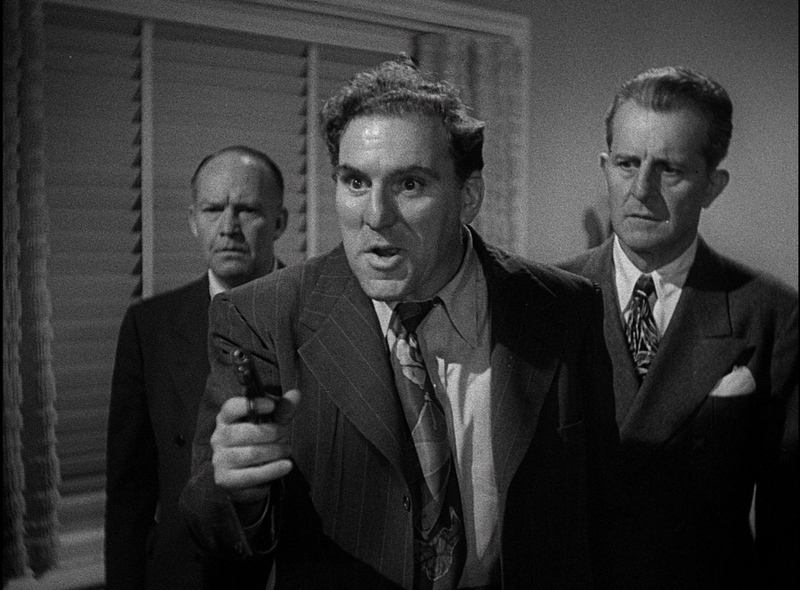 Raymond Chandler's script never quite recovers from the Navy Department's objection to having Ladd's war-wounded buddy Bendix, wandering around with a steel plate in his head and intermittent amnesia, turn out to have done the killing (out of outraged loyalty to his friend, then blanking it out in his memory). The plot rewrite involves one or two arbitrary connections and a much less satisfactory conclusion. 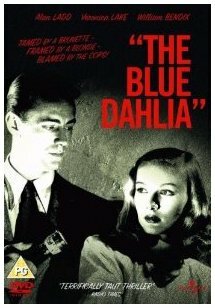 A fine hardboiled thriller for all that, with excellent dialogue and performances, and much more apt direction from Marshall than one might expect. ADDITION: Shout! 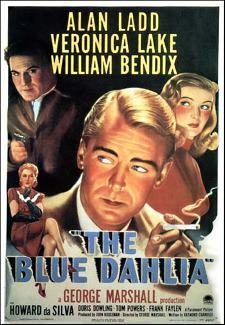 Factory - Region 'A' - Blu-ray - November 18': The Shout! 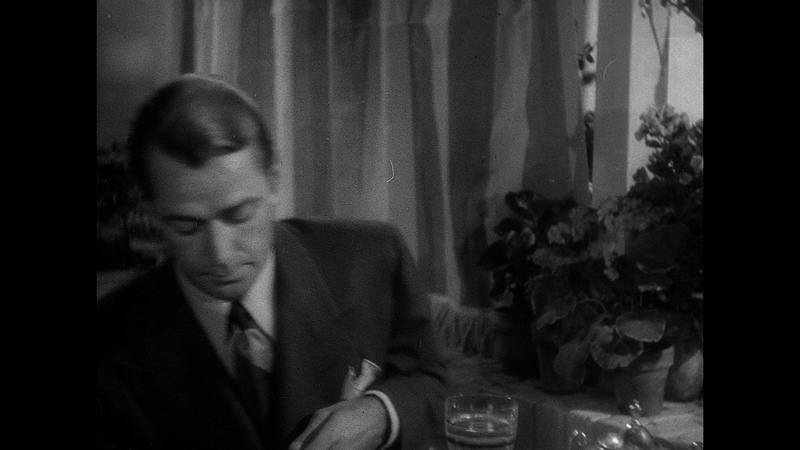 Factory is from the exact same source as the Arrow - with the same light scratches, speckles and blemishes. 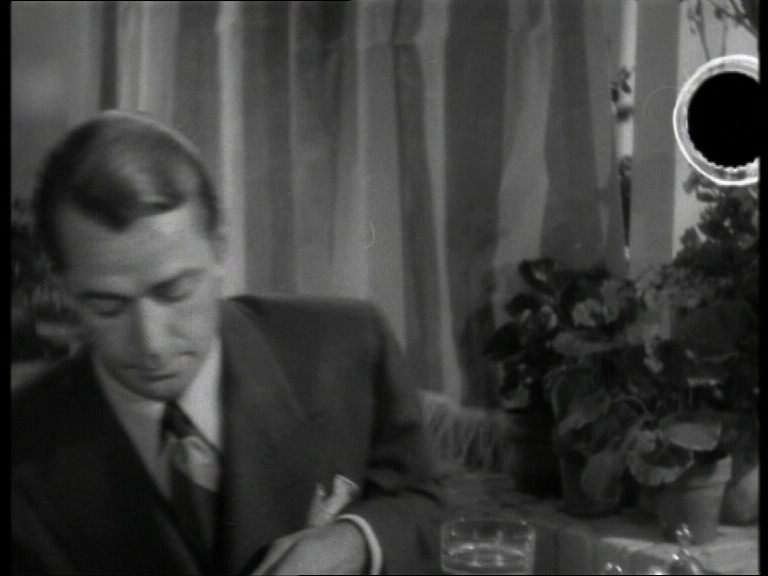 It is not as robustly transferred with a lower bitrate but the image quality seems acceptable in 1080P if, a notch lower, in-motion and grain texture than the Arrow. 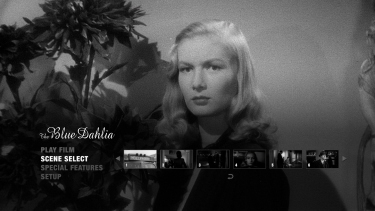 Audio is transferred in a 24-bit DTS-HD Master 2.0 channel mono track. 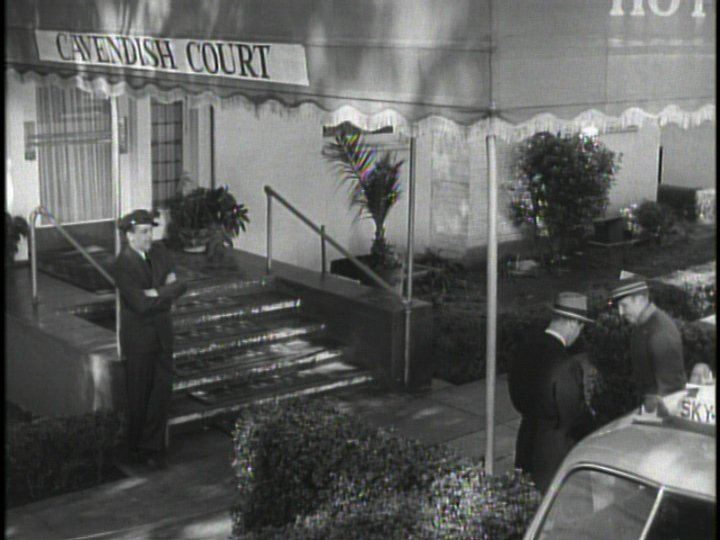 It carries a bit more depth than the Arrow. The Victor Young (Gun Crazy, Johnny Guitar, China Gate, The File on Thelma Jordan etc.) 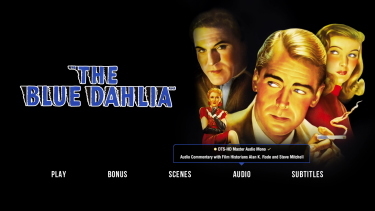 score sounds great in the lossless. 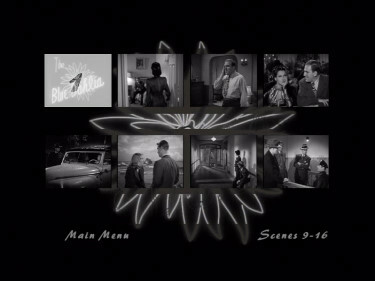 Dialogue is also clean and clear and there are optional English, yellow-font, subtitles on the being a region 'A'-locked Blu-ray. 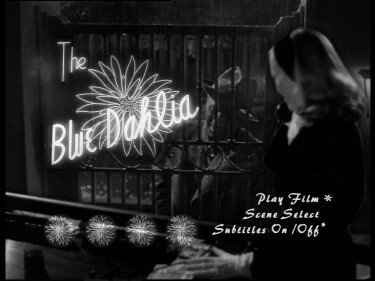 The notable supplement is an audio commentary by Alan K. Rode and Steve Mitchell with Rode taking the reins in discussing much of The Blue Dahlia's noir affectations. 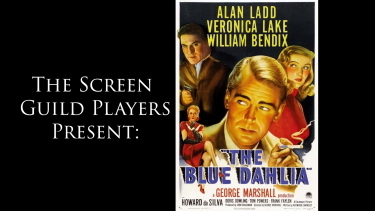 It is a worthy listen - lots of information. 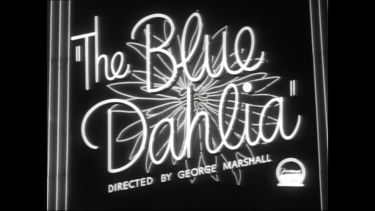 There is also a 1/2 hour 1949 Screen Guild Radio adaptation of The Blue Dahlia with Ladd, plus a trailer and extensive image gallery. 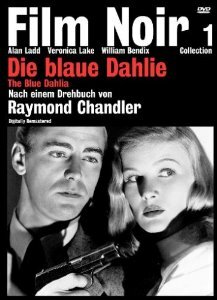 With Chandler's smooth street-wise dialogue, Ladd's silent-type good looks and Lake's wispy chemistry (the girl was built for Noir) this remains one of the defining films of the stylistic reputation of The Black Cinema. 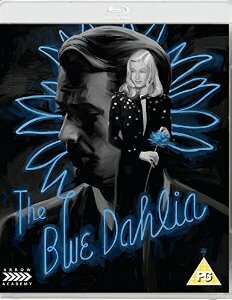 A must-own, in either or both Blu-rays, for fans of the rich, un-duplicate-able, style. 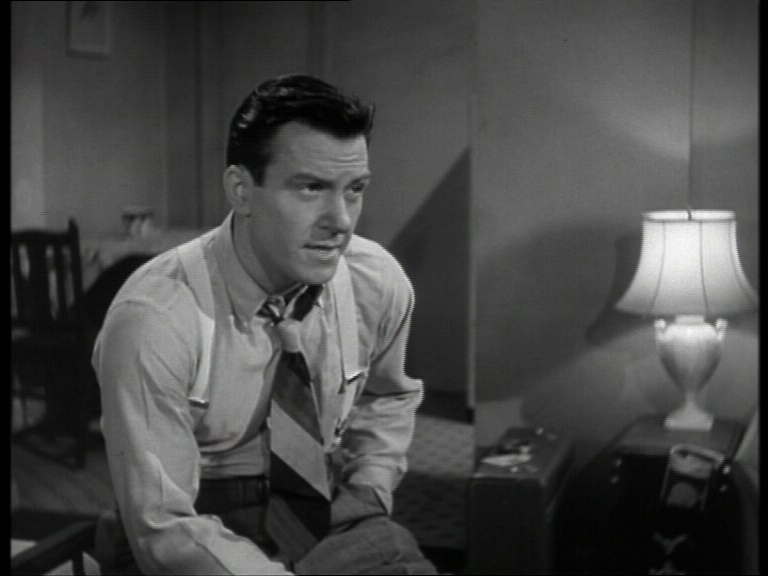 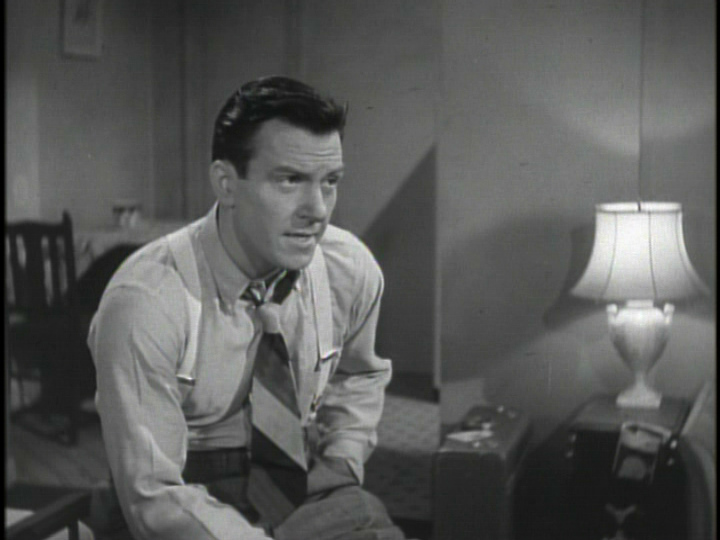 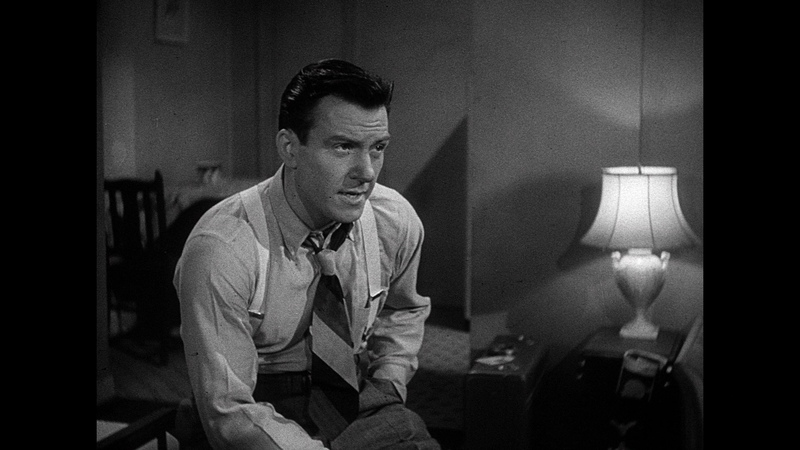 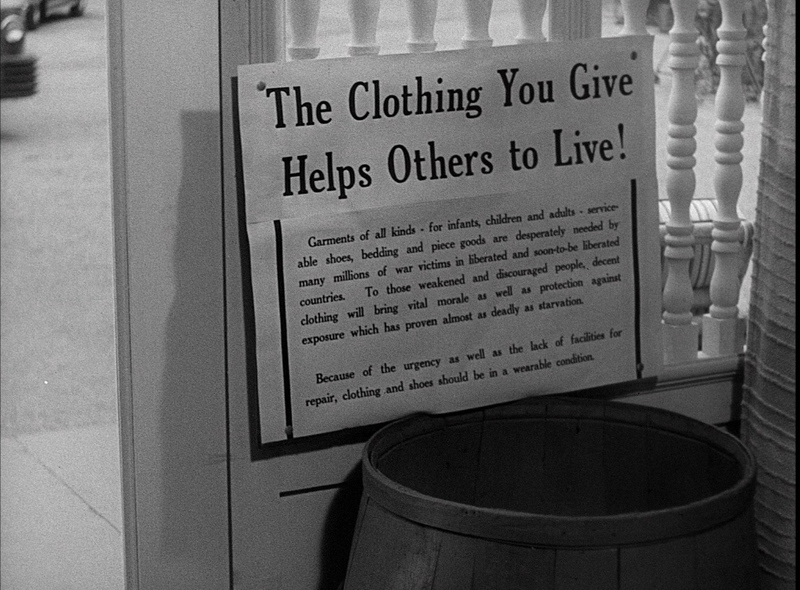 NOTE: Favorite Hugh Beaumont plays another important bit part in a strong Noir classic. 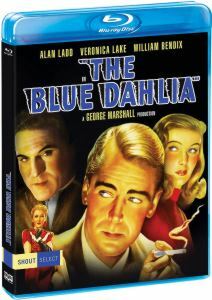 ADDITION: Arrow - Region 'B' - Blu-ray - September 16': Sorry for the delay - this was 'lost in the post. 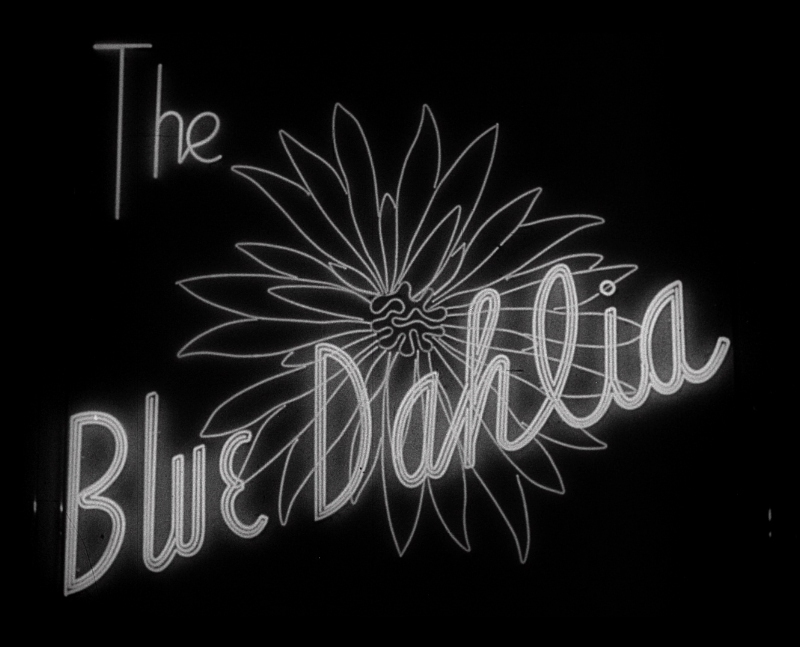 There were some pretty horrible DVDs of The Blue Dahlia far fans but Arrow has righted a great wrong with their new Blu-ray release. 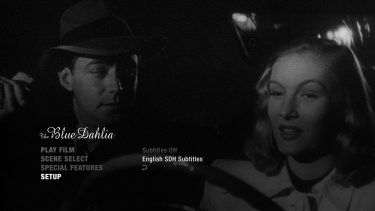 The 1080P transfer looks gorgeous - filled with rich grain - well defined contrast - on a dual-layered disc with a max'ed out bitrate. It's gorgeous and a gigantic leap behind the poor SDs we've endured so far. 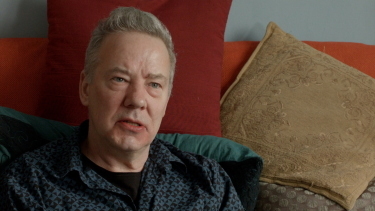 Audio is transferred in an authentically flat linear PCM mono track. 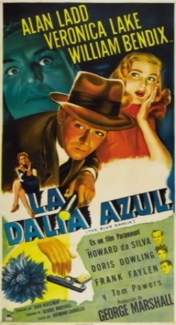 The score composed by Victor Young (Gun Crazy, Johnny Guitar, China Gate, The File on Thelma Jordan etc.) and it certainly benefits from the uncompressed rendering - adding another dark, edgy, layer to this essential 'Dark Cinema' classic. 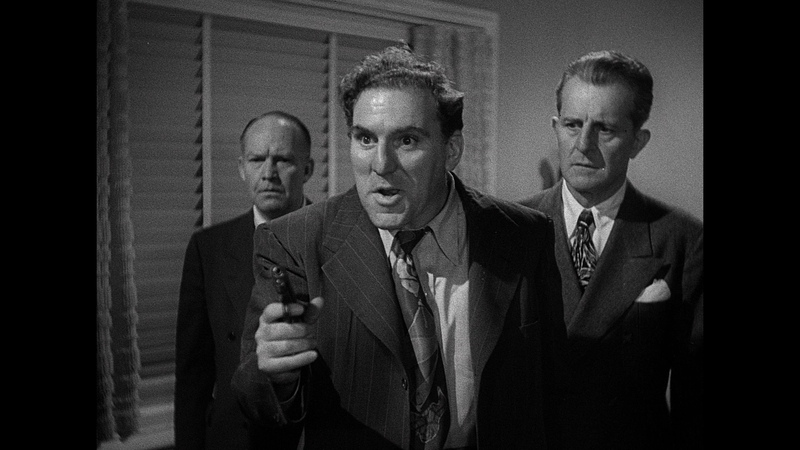 Dialogue is clean and clear - best I have ever heard - and my Oppo has identified it as being a region 'B'-locked! 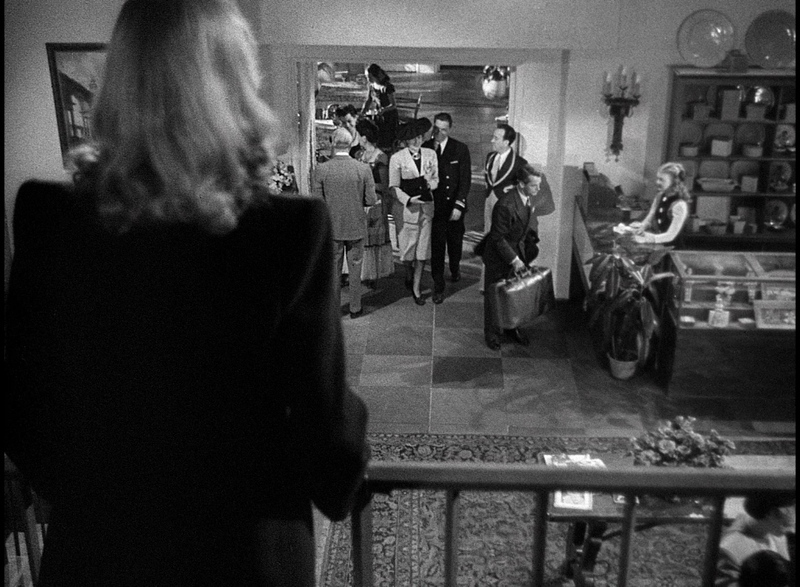 Arrow add some relevant extras starting with 9-minutes of a select-scene commentary by Frank Krutnik, author of In a Lonely Street: Film Noir, Genre, Masculinity. He discusses two key scenes in the film - the opening bar sequence and Johnny returning home for the first time. 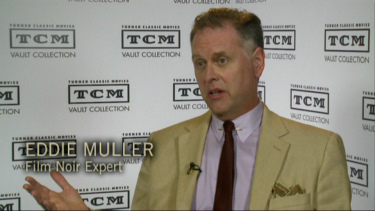 He makes some great comments - I only wish it was longer. 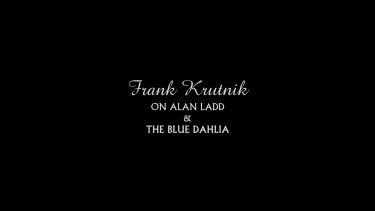 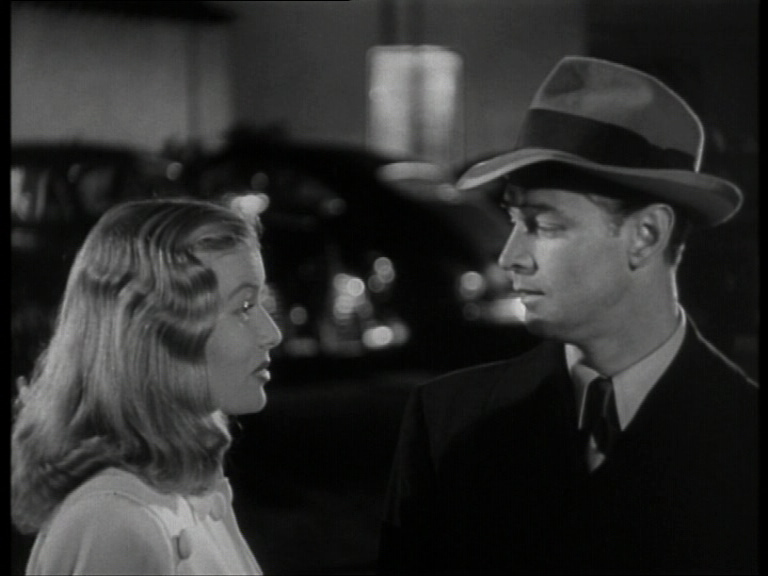 Small Boy, Tough Guy has Frank Krutnik discusses The Blue Dahlia's place in the Noir canon and the career of Alan Ladd. It runs almost 1/2 an hour. 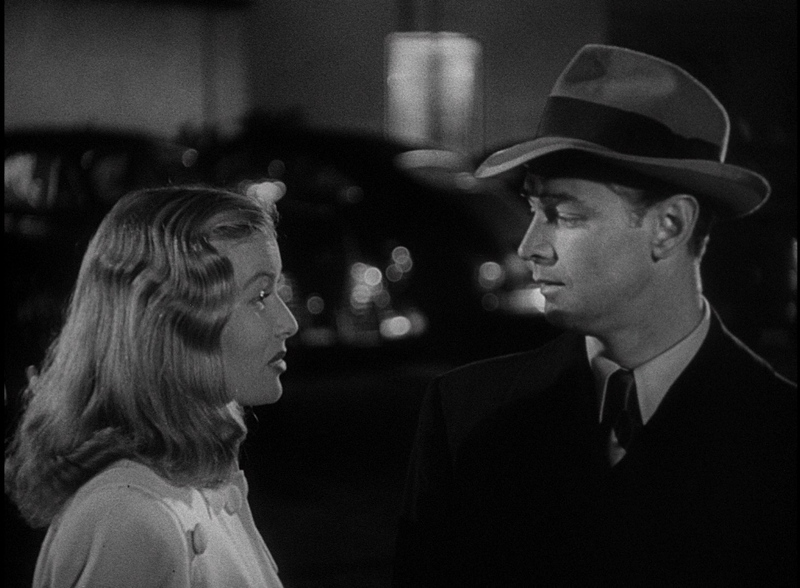 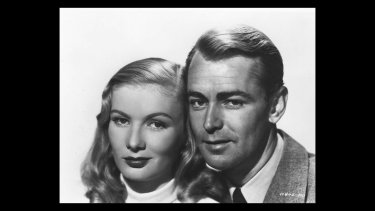 Also included is a rare 1949 half-hour radio dramatization of The Blue Dahlia by The Screen Guild Theater, starring Veronica Lake and Alan Ladd. 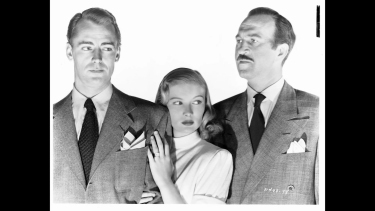 I've become a big fan of these radio dramas and have downloaded all the Box 13 series - the escapades of newspaperman-turned-mystery novelist Dan Holliday (played by Alan Ladd). 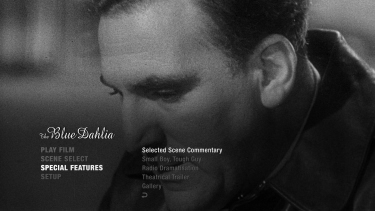 There is also an original theatrical trailer, a gallery of vintage stills and promotional materials and the package has a reversible sleeve featuring original and newly commissioned artwork by Tonci Zonjic. 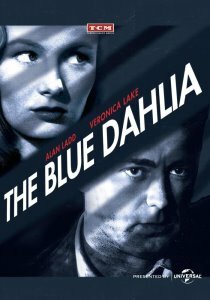 Easiest purchase of the year for Noir fans... Our highest recommendation! 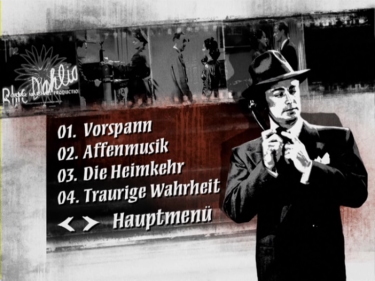 ADDITION: Koch Media - Region 2 - PAL - November 2011: Disappointment abounds. 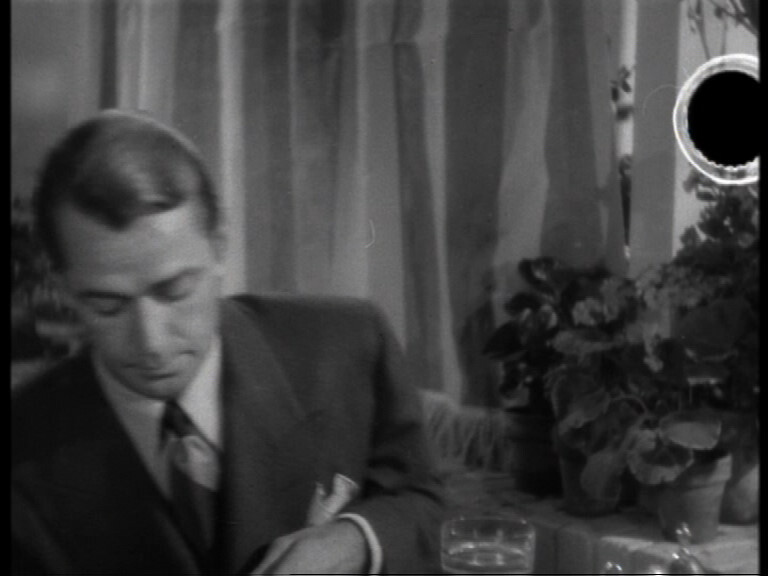 Unfortunately, this appears to be the same transfer - yes, it has marginally better compression but is still, almost imperceptibly, interlaced and may be slightly greener. 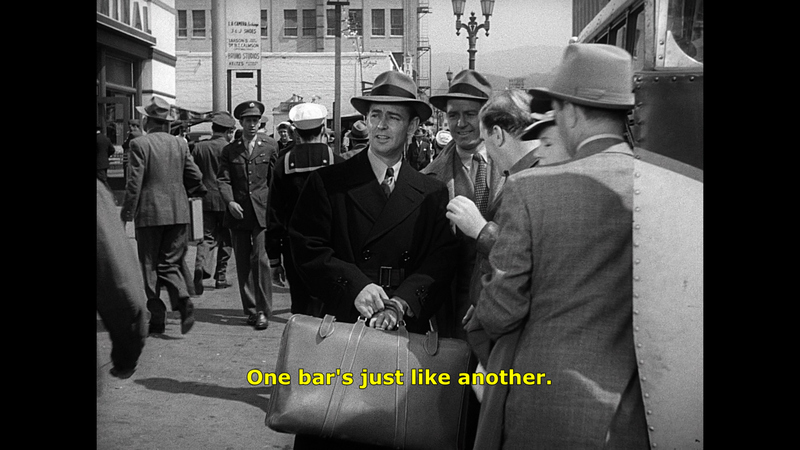 Either/or it is not enough of an advancement to recommend. 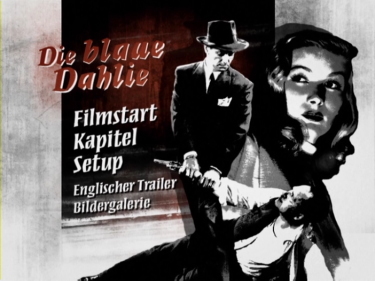 It comes in a nice booklet case, essay (in German) with a trailer and image gallery as part of the dual-layered transfer. 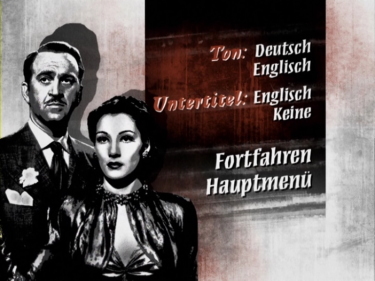 A German DUB and subtitles are optional on the PAL encoded disc. Overall, I am now not as disappointed as I was expecting to be. 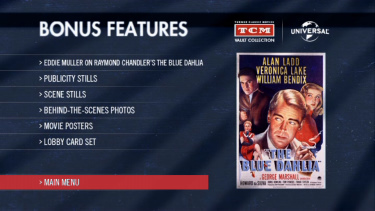 We had already heard that The Big Steal, also released in this DVD Noir grouping, was the Turner colorized edition, not - as advertised - the black and white original. So the noir-aficionado community was getting its collective back up in regards to the quality of these releases. 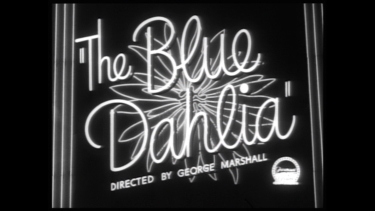 But I have had to subsist on a VHS-to-DVD bootleg of this film for a while. 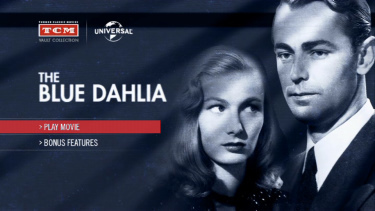 It was not badly done at all and even included a trailer but this new Universal UK transfer is certainly superior (see comparison sample below). It is sharper and shows a little more information the frame, is not as heavily contrast boosted, has far less artifacts and offers optional English subtitles. 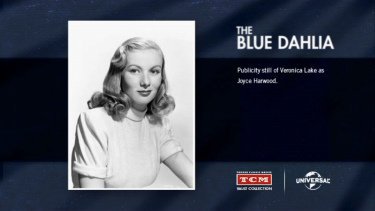 This is by no means a strong transfer - very minor combing is there (although almost invisible), more muddy than I would like, and cue blips (see last capture) and speckles are prevalent - but it is the best we have seen this Noir staple digitally to date. 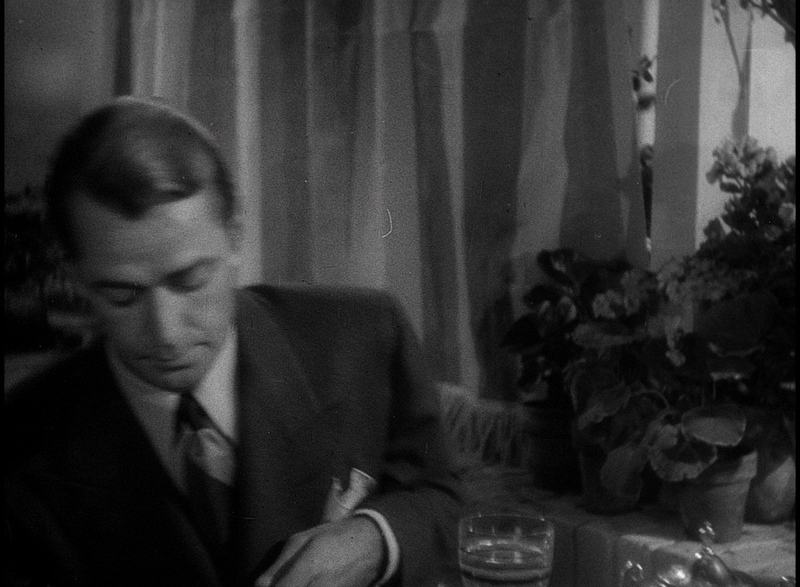 Audio has some minor hiss. The shame of it is that this film deserves an Eddie Muller commentary - or the like - and this new edition is bare-bones.